Whether you are an early bird or a night owl may not only determine when you prefer to sleep -- it can also affect your personality and quality of life. And it looks like night owls may have it tougher when it comes to their overall well-being and functioning in a predominantly 9-to-5 world. In a recent study, researchers at the University of Barcelona, Spain, compared "morning people," those early birds who like to get up at dawn, and "evening people," night owls who prefer to stay up late and sleep in. Among the differences they found is that morning people tend to be more persistent. Morning types are also more resistant to fatigue, frustration and difficulties, which often translates into lower levels of anxiety and lower rates of depression, higher life satisfaction and less likelihood of substance abuse. On the other hand, evening people tend to be more extravagant, temperamental, impulsive and novelty- seeking, "with a higher tendency to explore the unknown." They are more likely to suffer from insomnia and ADHD. They also appear to be more likely to develop addictive behaviors, mental disorders and antisocial tendencies, and even to attempt suicide. In the study, researchers looked at the lifestyles and personality traits of 700 Spanish psychology students from two universities. The subjects ranged in age from 18 to 32 and included slightly more women than men. So where do these differences between night owls and early birds stem from? There are two possible explanations, the researchers said. 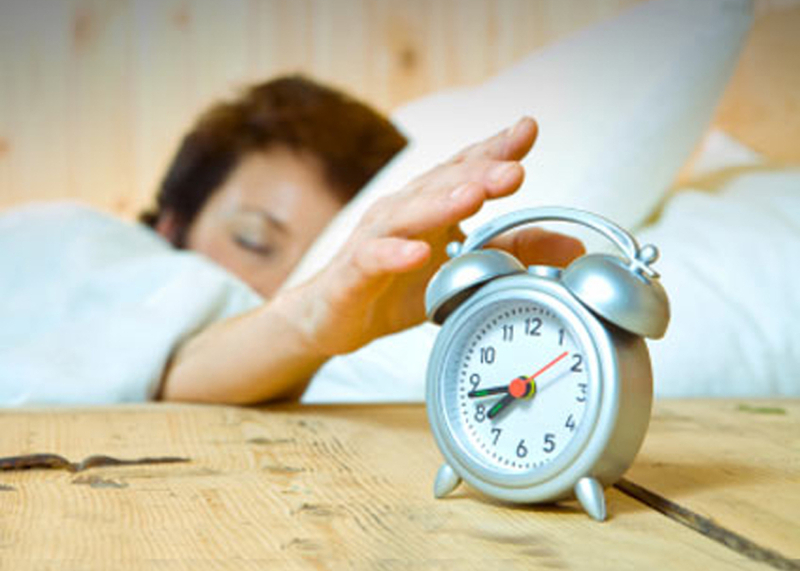 One is that people's genes play a role in determining their circadian rhythm -- the inner clock that regulates sleep and other physiological processes. Study author Ana Adan at the University of Barcelona told CBS News in an email that "several studies have linked different circadian rhythm genes with the development of mood disorders, schizophrenia and drug consumption." Another possible explanation is related to so-called "social jet lag," which is a term used to describe the lack of synchronization which can occur between a person's biological clock and the society around them, Adan said. "Evening-type subjects are well-known social jet lag sufferers, as they must develop a behavioral pattern in order to adapt to the social schedule," which tends to be oriented towards "morningness," Adan said. And if evening types struggle to adapt to this kind of schedule, they may develop symptoms of depression and anxiety, Adan said. Evening-type men in the study were more likely to suffer from mental disorders than evening-type women, which surprised the researchers, Adan said. This was unexpected, as women generally tend to be more vulnerable "to the development of depressive and anxiety symptoms than men," Adan said. However, it seems that there might also be some more positive aspects of being a night owl. "Creative people tend to be night owls," Dr. Argelinda Baroni, an assistant professor of child and adolescent psychiatry at the Child Study Center at NYU Langone Medical Center, told CBS News. Baroni, who was not involved in the study, also pointed out that "eveningness" is more common in the age group that the researchers used in the study, especially among males. It would be interesting to see whether the people's sleeping patterns and personality traits would change with age, as "eveningness" tends to decrease when people get older, she said. Overall, she said, "I think it is a study that is consistent with other research," on differences between morning and evening types. For instance, other research has found that adults with ADHD indeed tend to be night owls, as shown by their sleep-wake schedules and their levels of melatonin, a sleep-regulating hormone, she said. Adan said that the new findings may be helpful to healthcare professionals who could use them to develop new and more accurate therapies for the treatment of different disorders affecting people with different circadian rhythm patterns. The new findings are being published in the October 2014 issue of the journal Personality and Individual Differences.